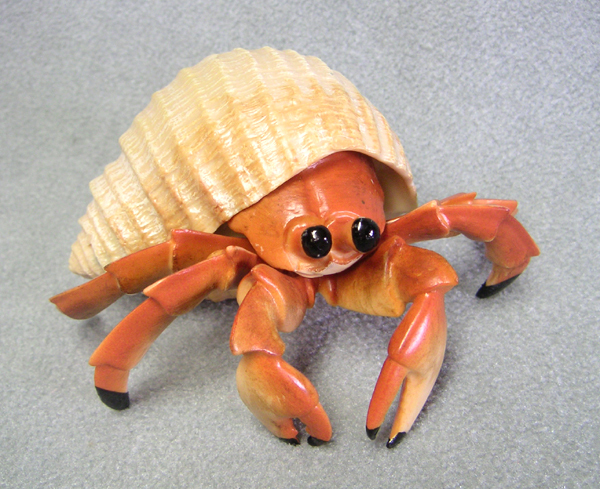 A hermit crab living in Australia’s Great Barrier Reef outgrows his shell and heads out to seek a new one. This is a great primary read-aloud because of the sparse text, but there’s also an incredible section in the back of the book for your more advanced or your particularly sea-life-obsessed readers. Every page of the book is annotated in the back with the actual creatures numbered and identified, along with text about the particular part of the ocean featured on each spread. There are a bunch of great supplemental links at Kids’ Wings. Because the link is so short, it could be neat to plan a webquest using this list of sites. Or if you don’t think your students are ready to correctly enter the full web address, you can ask Mrs. Cole to add it as a bookmark in the computer lab. 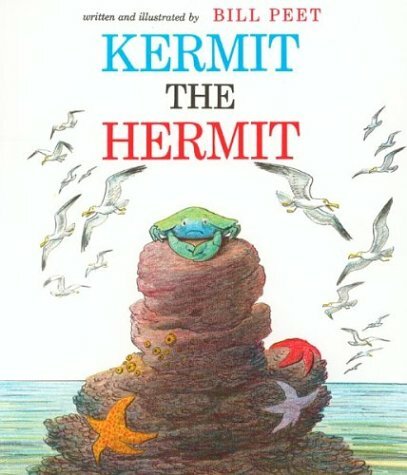 Also, the link mentions using Bill Peet’s Kermit the Hermit as a partner text. I have a copy of this in classroom library bucket 63 if you’d like to use it, just check it out using the check-out binder next to my tech cart. Use prior knowledge to connect with text. Discuss how the previously mentioned webquest changed the way your students looked at the story. Chances are, many of them made comments like, “I saw that!” or “I know what that is!” Discuss how expanding prior knowledge can help them read books in the future. Blend sounds, stretch and read. If you’ve already gone over digraphs with your students and you think you’re ready for blends, this book is a good, authentic place to start for examples with blends both at the beginning or end of words. Look for words like bright, crab, clownfish, spiny, clean, crept, squished, dark, watery, among, very, years. You can see a Google Books preview of this book here. 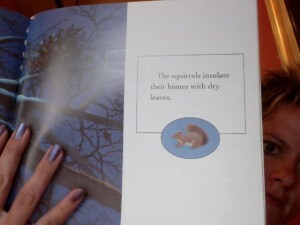 Author/illustrator Mary Ann Fraser blogs pretty regularly. It’s always neat to see into an illustrator’s process, so you should check it out. A brief aside: WHY is it that when humans are featured as minor characters in a book about some totally different topic they are almost always straight-haired blonde/brunette white folks? This book was written in 2002. I wish there were more non-white characters in books that weren’t just about “issues.” See rad Michigan educator Colby Sharp’s views on this matter here. Anyways. This book would work perfectly with The Bird Lady, a Level J guided reading text available in our bookroom. The information section in the back talks about what humans do when animals lose their support system, and Bird Lady is a critter rehabilitator. Monitor and Fix Up. If you follow the lesson plan included, you will create a chart showing the different ways animals carry, protect, and provide shelter for their young. You can explain that this graphic organizer can help you monitor your comprehension — if you notice that you haven’t recorded anything in a page or two, there’s a chance that you missed some key information. Recognize and explain cause and effect relationships. The book discusses many different actions that animals take to take care of their babies, all with the effect of keeping them safe. Talk with students about the idea that a cause (i.e. a crocodile putting her babies in her mouth) can also be an effect (A predator had to cause the crocodile to put the babies in her mouth in the first place). At the end of the book, Fraser talks about why it is that animals are so keen to protect their young. This could be used to explore the idea that although there are many smaller causes and effects in the book, they all fit under the overarching idea of protecting young animals. I can’t remember if I’ve posted these here before, but here are the tutorial videos I mentioned to staff members a while ago. If you have any further questions or other suggestions for helpful videos, let me know!